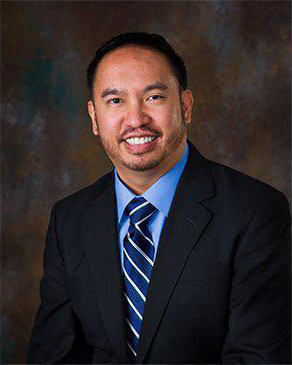 Dr. Ronald S. Manalo is a board certified primary care physician at Florida Family Practice in Tampa and Wesley Chapel, FL. Certified by the American Board of Family Medicine, he is a distinguished member of the American Medical Association, Florida Medical Association, and the American Academy of Family Physicians. Science degree in Biology graduating with distinction and honors. For as long as he can remember, Dr. Manalo has dedicated his life to helping and serving others. In pursuit of his life goals, he went on to obtain his Medical Degree from Meharry Medical College in Nashville, Tennessee. He then continued his educational training at Mercer School of Medicine / Navicent Health Hospital in Macon, Georgia. He completed his internship and residency training there and during his time, Dr. Manalo served as a mentor and educator for medical students and resident physicians. Dr. Manalo has had extensive clinical and community service experience. He’s worked as an urgent care physician at the Crownpoint Health Care Facility in Crownpoint, New Mexico. The facility is known to provide and serve a population of over 20,000 Navajo people. In addition, Dr. Manalo has served in multiple urgent care facilities in Georgia, where he provided acute care within the community. Furthermore, Dr. Manalo has cultivated his medical expertise in hospital-based medicine. He has practiced Hospitalist Medicine at Navicent Health Hospital in Macon, Georgia, where his duties included providing, managing, and treating acute and chronic care illnesses and injuries. Dr. Manalo strives to always provide dedication and compassion to all of his patients.